Is the Bakken producing higher volumes of H2S? 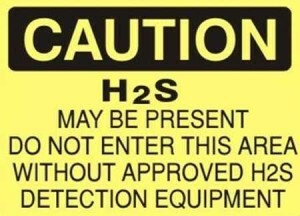 That's the question you have to ask yourself when you see pipelines implementing H2S standards for the first time. On May 8, Enbridge submitted an emergency application to the Federal Energy Regulation Commission (FERC) asking to amend its conditions of carriage to 5 ppm of H2S or less. If accepted, Enbridge would have the right to reject crude with higher levels of H2S. When those limits went into place, it seems as if producers with high H2S concentrations might have shifted production to the Enbridge system. Enbridge acted after it found concentrations of 1,200 ppm in a crude tank at its Berthold Terminal. 20 ppm is the limit allowed by OHSA and an average of 10 ppm of exposure is all that is allowed over an 8-hour work day. Both Plains Marketing and Murex Petroleum objected to the FERC application, but it looks as if they solved their differences when Enbridge notified FERC it wasn't planning an outright ban on crude with higher H2S concentrations. The two companies weren't against the change, but were afraid they couldn't comply in the time frame planned.